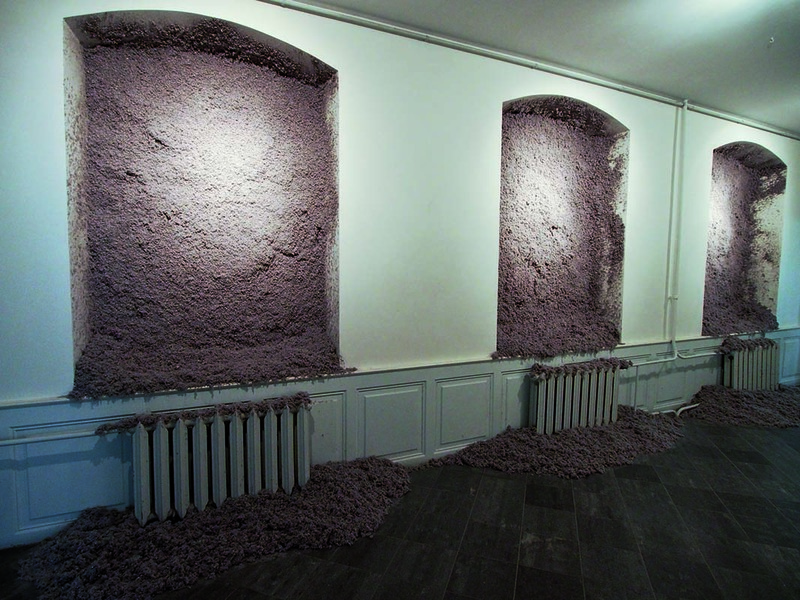 When Rael Artel became the director of the Tartu Art Museum, an archive project called Tartu 88 was initiated. 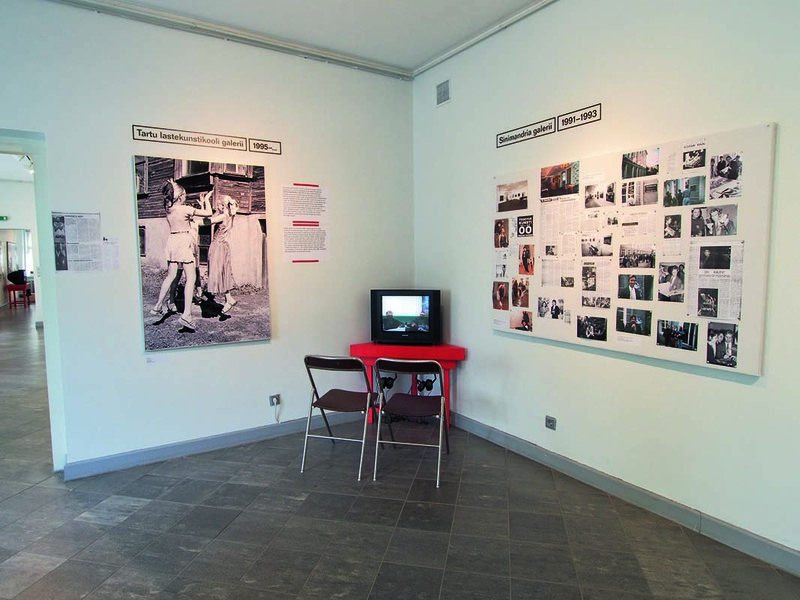 Its aim is to map the undertakings in the town’s art life during the past tumultuous quarter of a century, and at the same time archive materials about events, locations and people which due to technological development is in increasing danger of vanishing. As a museum, we naturally also wished to map the period by means of exhibitions. As the relevant era was complicated and diverse, we decided to divide it into thematic stages and invited several curators to deal with them. Firstly, last spring Triin Tulgiste (TT) produced the exhibition Jumpers and Kostabis. 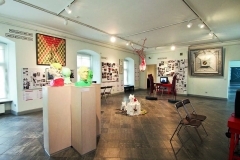 Tartu exhibition venues 1990–2014, which introduced significant (commercial) institutions in art life and provided the whole project with a background system. 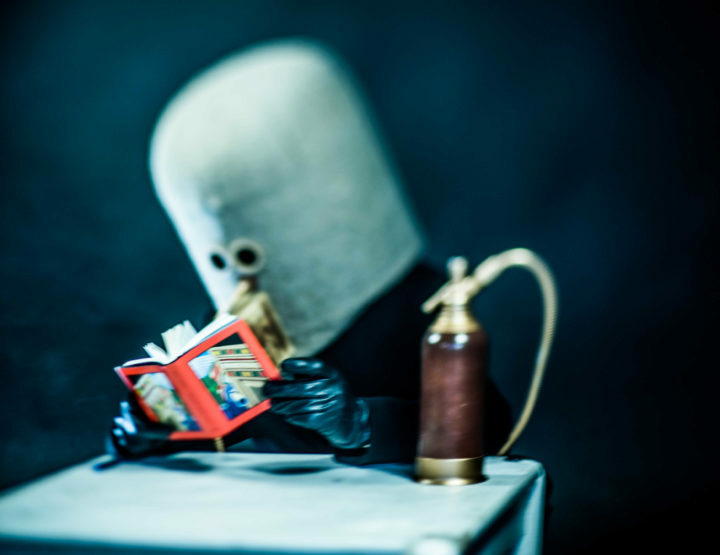 The jumpers mentioned in the title are the typical Tartu bohemians, and the exile-Estonian artist Kalev Mark Kostabi symbolises the success cult of the 1990s. These two poles have characterisied the art life in Tartu and can be associated with the legendary Tartu-Tallinn opposition. 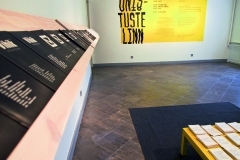 With its innumerable newspaper clippings, display stands with society photographs and video-interviews, the exhibition constituted an example of a classic archive project. In November, Marika Agu (MA) presented a display called Typical individuals. Tartu graffiti and street art 1994–2014, which summarised the art trend that had become the symbol of Tartu in the last two decades. In the 1990s street art could easily be linked to alternative youth cultures, whereas now it has become a crucial worldwide means of political discussion and a favourite at auctions. 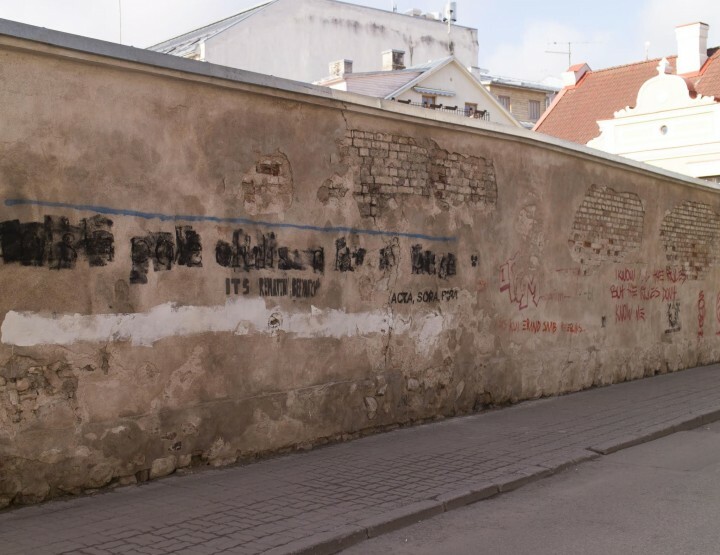 Earlier graffiti in Tartu has mainly been replaced by works in stencil technique, often commenting on social and cultural problems. Increased attention has naturally brought about commercialisation: the city government uses street art in its tourist campaigns. A 30-minute documentary was made for the exhibition and, through the choice of works and catalogue texts, the curator tried to associate the graffiti writer with the 19th century flâneur. The most recent display was produced by Kaisa Eiche (KE) last spring, and was called The Dream City. 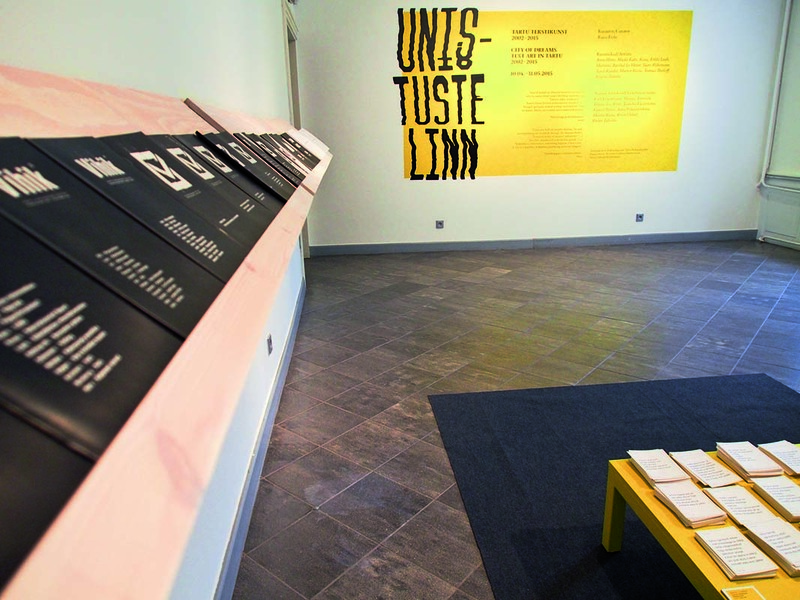 Tartu text art 2002–2015, which introduced a truly weird aspect of Tartu’s art life, immersed in semiotics and mirages. This concept gathers artists who even in today’s all-accepting art world still seem to find themselves in a kind of peripheral area. However, all artists have a stronger or weaker connection with texts. Important aspects here are the photography department at the Tartu Art College and the Department of Semiotics at the University of Tartu: both have had a considerable impact on the local art life. Although this stage tackled perhaps the most peculiar artists and themes, the display still resembled a classic curator’s choice. I invited the curators to answer my questions and share their experiences. What happens to live art after a museum announces its intention to lock it up in an archive? How long should the gap be between when an act takes place and systematised collecting? 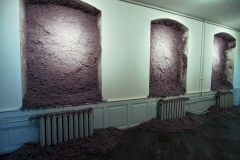 TT: First, I disagree that archiving can somehow suffocate art. 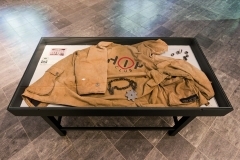 Instead, it is an excellent opportunity to bring the long-forgotten material back to life and make it topical again for the public via a museum display. A little distance in time certainly helps to make decisions, although it is not really necessary. For my project, I gathered data about the early 1990s galleries, as well as about the Y-gallery, which closed the doors of its previous venue only weeks before the exhibition opened. Such decisions always depend on the researcher’s subjective opinions and must be justified. MA: I can reply on the basis of my own experience: nothing much happens to graffiti and street art. In the publication, I tried to imagine the development of the art field over time after the exhibition. For example, I predicted the growth of the Stencibility festival, and the stability of Edward von Lõngus. Still, considering the modern information flow, people tend to forget much more easily and it is increasingly difficult to reconstruct the context. KE: The function of a museum is to take a keen interest in art and artists (including living ones). Developments in technology and society have greatly influenced the creation, mediation and possession of art. 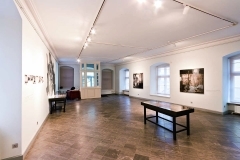 The Tartu 88 project does not focus so much on collecting works for the archive as on presenting them in exhibition format. The museum invited each of you to produce one stage of a bigger project as a guest curator. As an idea, Tartu 88 was quite clearly formulated, although we wanted to give every curator a free hand and keep the aims somewhat ‘vague’. How did you formulate the task? TT: My aim was to gather a selection of galleries operating in Tartu and to try to get venues with as different profiles as possible, which would enable me to present a wide range of tendencies in Tartu art. In other words, I did not want to focus on documenting the work of galleries only, but also on revealing the background behind their main activity, showing art. MA: This may be wrong regarding the balanced archive, but I primarily relied on an exhibition which set specific borders on what kind of information to collect. I followed the idea that it made no sense to smother visitors with a huge mass of information, newspaper wallpaper and hundreds of photographs. Instead, I tried to create the context in which graffiti writers and street artists work. This requires conceptualisation, which does not necessarily fit in with the principles of an archive exhibition. Unlike text art, it is not easy to display place-specific graffiti and street art in an exhibition hall, so I had to find solutions that would not be quite as straightforward and clear-cut. KE: I understand the archive project and the invitation to participate as a much longer term and thorough cooperation. The exhibition is more like a starting point. I also fully realise that, considering the museum’s limited possibilities and resources, you cannot really go very deep. 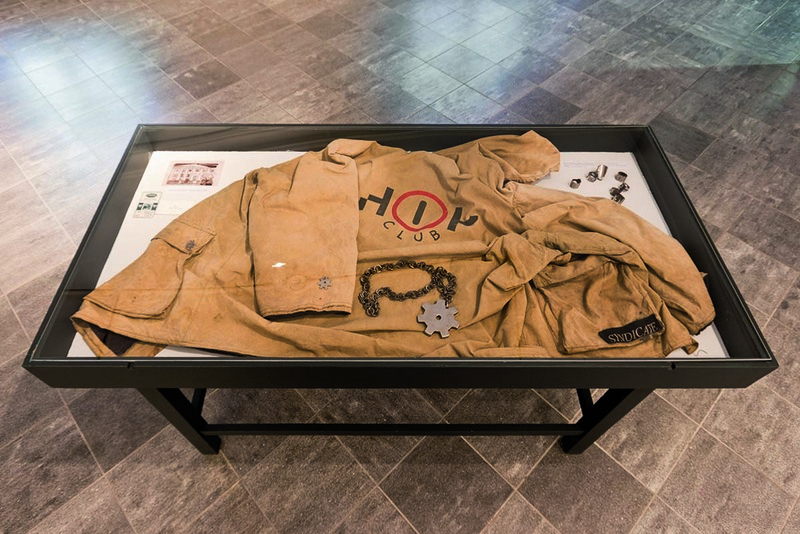 How did the earlier Tartu 88 exhibitions (or their absence) influence your displays? Did the knowledge that the same concept would include other choices/views make you alter or restrict your own ideas? TT: Inventing the archive exhibition format was definitely complicated and in hindsight I would do many things differently. Archive materials are just as demanding as art itself and working with them turned out to be surprisingly complicated. It seemed that my experience led the next curators to present much smaller and less elusive sets. MA: I believe that Triinu’s pilot project on the exhibition venues in Tartu was a classic archive display and had a strong level of information. Alas, visitors could not quite cope with the amount of information. When we asked young people for some feedback, they expressed a wish to have more interaction with the exhibition: the monologue format was not working. The young seemed to have forgotten the way to museums. I decided to take this into consideration when preparing the exhibition. 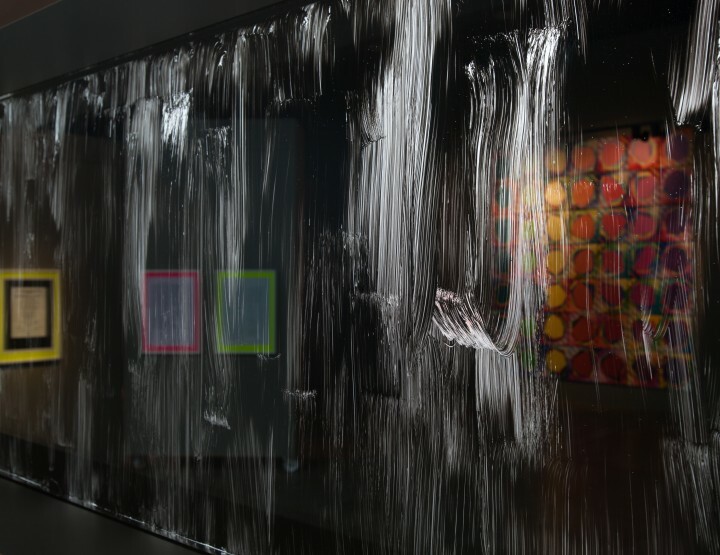 KE: I had seen the earlier exhibitions and in a sense it was not possible to ignore them. However, I was more influenced by works and artists with whom I cooperated, and Tartu is a location that has had a huge impact on their/our development. Although the aim of Tartu 88 seems to be an (indiscriminate) amassing of information, every curator has to be an interpreter as well. Each exhibition requires some ranking and selecting. How does temporal proximity influence the initial overview and the summarising analysis? 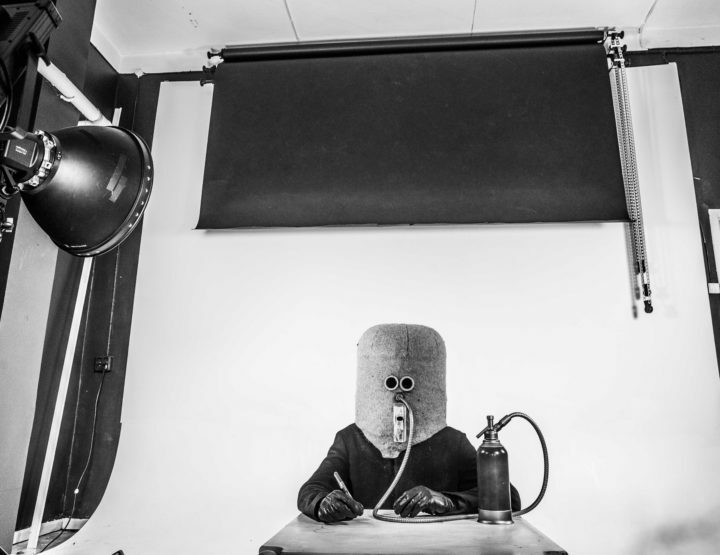 Is curating an archive project different from the usual curating work? TT: I decided to map the local gallery landscape first – I selected vastly diverse cases for the exhibition and tried to avoid repeating similar tendencies. My ambition was not to provide an art historical diagnosis of the Tartu gallery landscape, give a comprehensive overview or create a canon. I have in fact been criticised because of this in the exhibition context, but I saw my role primarily as carrying out preliminary work, gathering material which would make it possible to start a thorough research. MA: It seems that the duty of producing an exhibition does not have a good effect on gathering archive material: it requires a special focus. Exhibition outlets are different. KE: Focusing on the visible part for the public, i.e. the exhibition, time as a linear factor does not play any significant role in the examined phenomenon. Still, the progress of time as a metaphor has some weight in the exhibition concept: history, memory, death/immortality and remembering/forgetting. I assume the archive project is essentially different. What lessons did you learn in the course of the project? What was surprising? Is it true that temporal proximity also means that people are not yet ready to turn in materials and choose their words carefully? TT: There were those who shared their material willingly, and those for whom it was a significant chapter in their personal history and they wanted to keep it to themselves. Although only a few agreed to donate their materials to the museum, the positive aspect was that because of the brief temporal distance people remembered the events fairly well and therefore the conducted interviews were valuable. There were many lessons, for example the problem of how to track down people who had not been involved in the art world for perhaps twenty years or so, and how to reconstruct the programme of a gallery on the basis of the adverts in the cultural paper Sirp. MA: I am annoyed that introducing new ideas into the development of the art scene causes irritation because people feel that I have not explained the basic terms: it’s strange that after 20 years somebody can still wonder what tagging, graffiti, street art or even hip-hop culture is. I realise that in compiling an exhibition in a museum you have to be quite selfless and occasionally rely on the lowest common denominator. Considering the temporal proximity of the phenomenon, it could easily happen, for example, that interviewees talk too much in the past tense, thus giving the misleading impression that all developments are finished, and that everything has come to a standstill. Social skills are quite important in gathering material; after all, an archive is a result of human communication. KE: Communication is certainly prevalent, although thanks to fresh and often not yet conveyed recollections something is recorded which is very alive and typical of everyday existence. 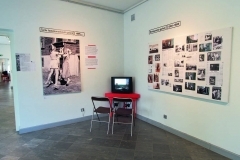 How many ways are there to compile an archive exhibition? 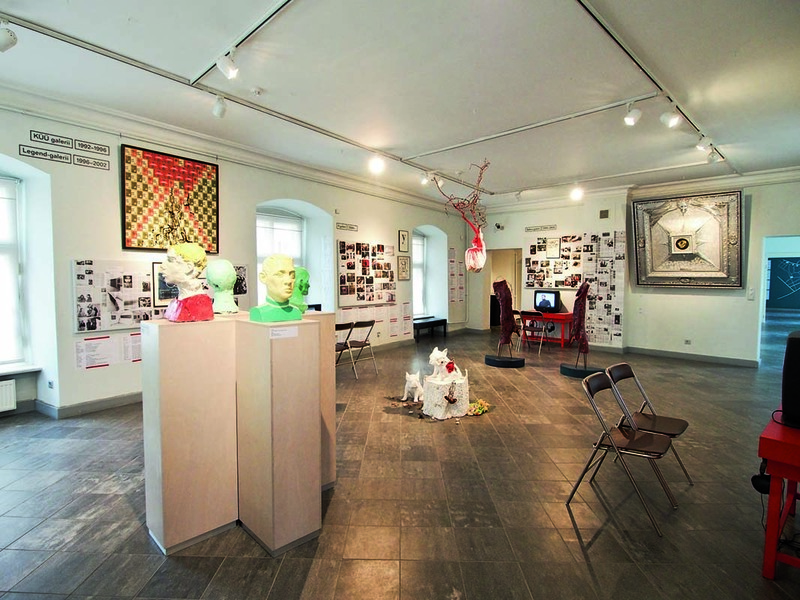 MA: I have noticed that the archive method, with its showcases and scattered artefacts, is quite trendy in exhibition halls, as evidenced, for example, by the 8th Berlin Biennial, where one venue, the Ethnology Museum, offered art a highly fascinating context. KE: No idea. An archive exhibition is a random intersection in the intense realms of the curator, artists, space, idea and institutional interests. Marika Agu (1989), curator of contemporary art at the Tartu Art Museum. Graduated the University of Tartu in semiotics and cultural theory, currently reading art history for her MA degree at the Estonian Academy of Arts. Kaisa Eiche studied photography in 2002–2007 at the Higher Art School in Tartu. She has worked in Y gallery, lectured in fashion photography and stylistics at the Higher Art School and produced a radio art programme kunst.er. Triin Tulgiste (1987), curator and editor, MA in art history from the University of Tartu. Peeter Talvistu (1983) read art history at the University of Tartu. Currently keeper of the library and archives at the Tartu Art Museum. Published art criticism and curated various exhibitions.